In July 2005, I attended the 20th anniversary celebration of the Feather River Coordinated Resource Management Group (FRCRMG), in Quincy, Plumas County, California. 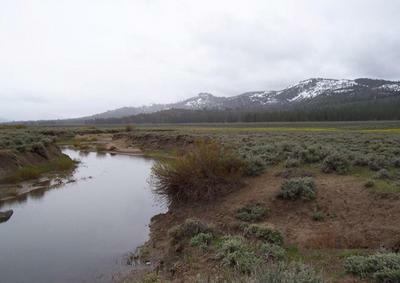 The three-day event included a tour of Red Clover Creek, which for many years has been at the center of this agency's efforts to manage river ecosystems in the California Sierras. The story of Red Clover Creek teaches us some important lessons. Prior to the middle 1950s, Red Clover Creek was a relatively shallow stream with permanent baseflow supporting an excellent fishery. However, in the late 1940s and early 1950s, federal programs were introduced to eliminate willows [phreatophytes] using aerial herbicide spraying. At about the same time, over three hundred beaver were removed from the system. These actions, together with the longstanding effects of heavy grazing and a system of abandoned logging railroad grades in the valley, brought Red Clover Creek to the brink of disaster. 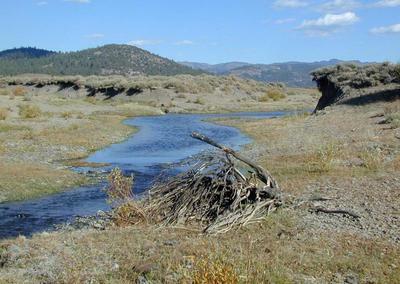 The 1955 flood was the catalyst for the massive gully formation through the valley, which continued through most of the 1980s. Once the gully formed, the regional water table dropped, baseflow was all but lost, and erosion and sediment transport followed. Of all the reasons for the formation of the FRCRMG in 1985, none was more important than the loss of Red Clover Creek. 1 Ponce, V. M., and D. S. Lindquist. 1990. Management of baseflow augmentation: A review. Water Resources Bulletin, Vol. 26, No. 2, April. 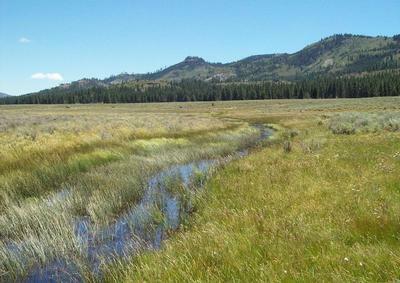 2 Photos courtesy of Jim Wilcox, Plumas County, California. 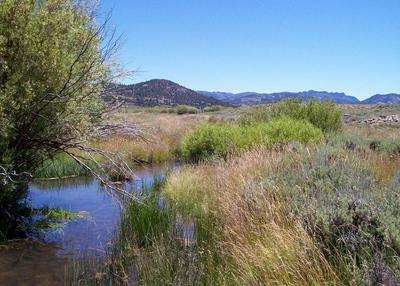 Confluence of Red Clover Creek and McReynolds Creek, on July 2004 (left) and July 2007 (right). Red Clover Creek at cross section 19, on June 2006 (left) and July 2007 (right).